If you are looking for good paintball in Minneapolis then Splatball is a good place to be! Splatball offers users a variety of fun options, including walk-on games with friendly staff, with allowances for CO2, and even an option for groups as large as 8. Minneapolis’ premiere paintball court is available for the paintball enthusiast! Splatball Paintball in Minneapolis is in the heart of the Twin Cities. It features a 10,000 square foot urban combat arena as well as the largest retail store/tech center in Minnesota. The entire facility is climate controlled for maximum comfort. We even have an observation area and private party room. 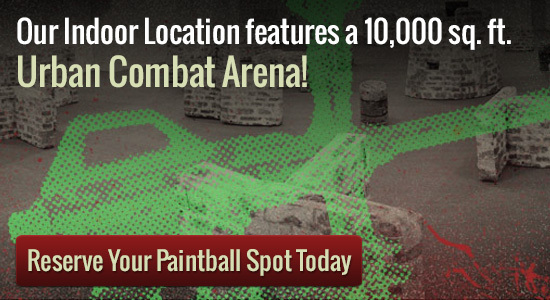 This paintball court is able to accommodate a large amount of people, up to 150 or even more! It is perfect for hosting birthday parties as well as youth group and corporate events. Have group members who do not want to play? No worries! They will be able to watch comfortably from the observation area. As noted previously this paintball court is located near the Twin Cities region in Downtown Minneapolis. Reserve this wonderful paintball court today for your next family outing whether it is an anniversary, a birthday, a family reunion or some other important event.